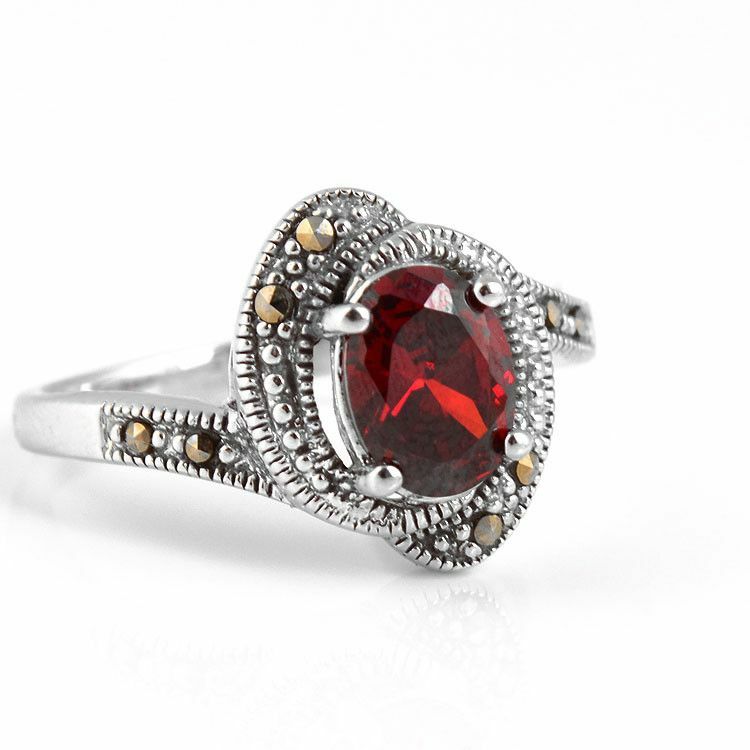 This beautiful ring has a wonderful vintage feel to it. 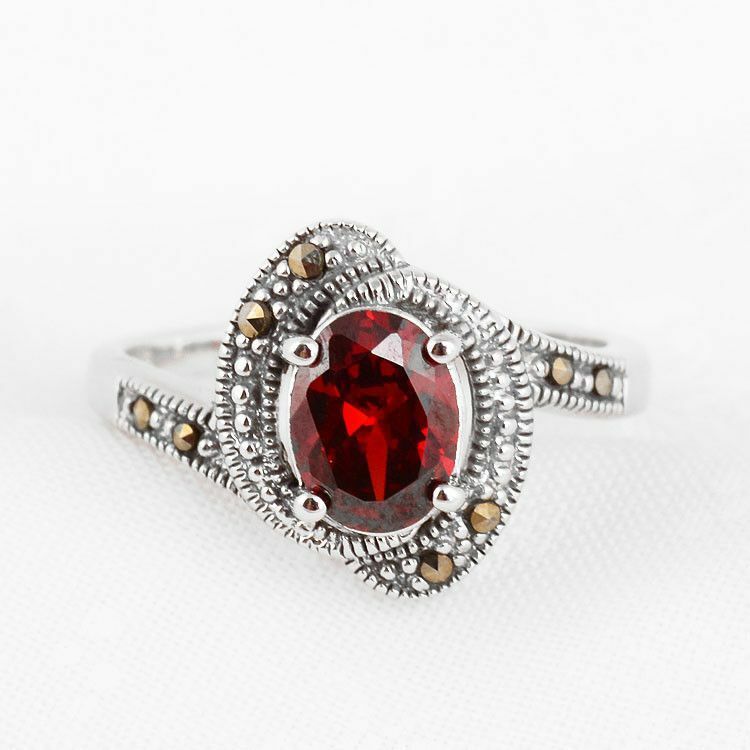 The rich red colored stone of this ring is Approximately 1/4" x 1/4" in size, and it is set in a sterling silver and marcasite stone display. 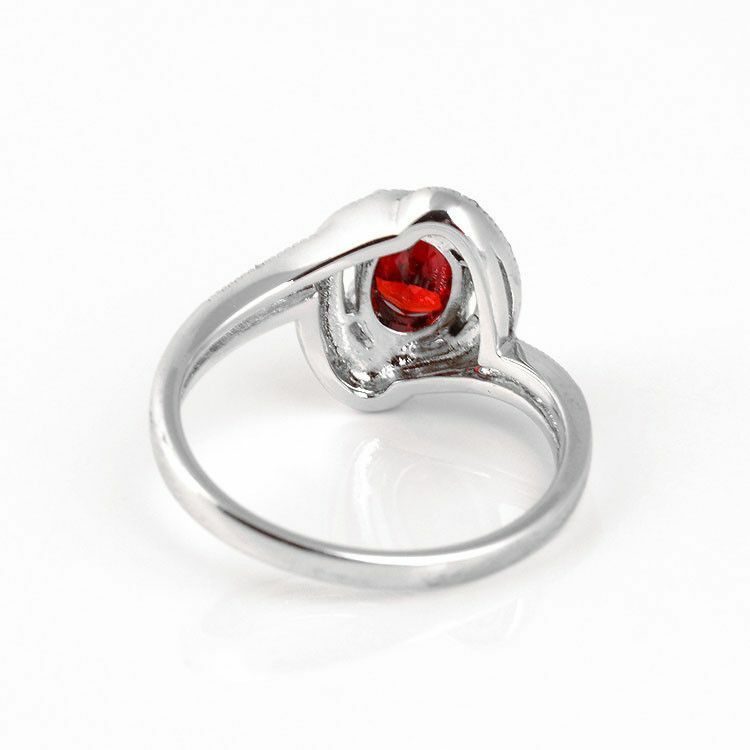 Wear for fun or to dress up!